Boo! The lobsters and the Mermaids are excited for Halloween this year!! 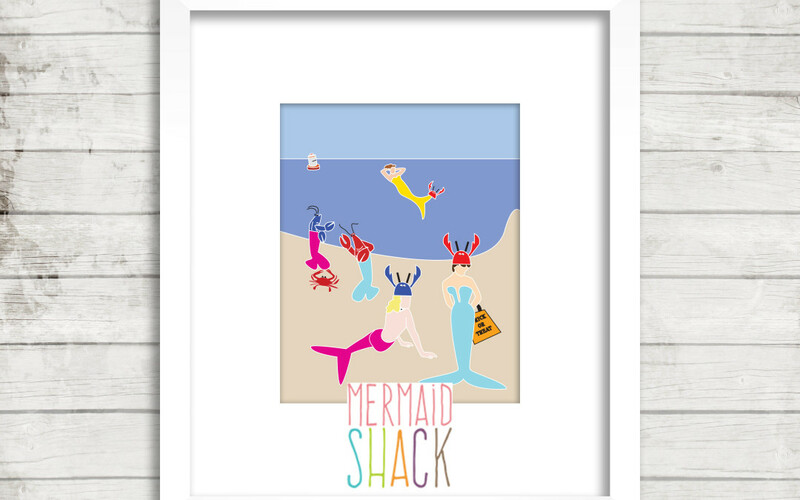 The Mermaid Shack is hosting the Boo Beach Mermaid Halloween Party. If you are a mermaid, come as Lobster and if you are a lobster, come as a Mermaid. Oh what fun it will be!! If you are looking for a special Mermaid Halloween Treat for yourself or your best mer-friend this print captures the fun of the season. It is playful, whimsical and charming which makes it the perfect treat for a Mermaid Halloween.